Home » Blogs » Charles Gaba's blog » GOP: "Are you SURE we can't blame it on Obama & get away with it?" America: "we said NO, dammit!" OK, that was then, this is now. With their second attempt at passing an even worse version of the Trumpcare bill being ramped up and Trump now openly threatening to cut off CSR reimbursements, which would likely utterly devastate the entire individual market, where does the public at large stand on the blame game TODAY? 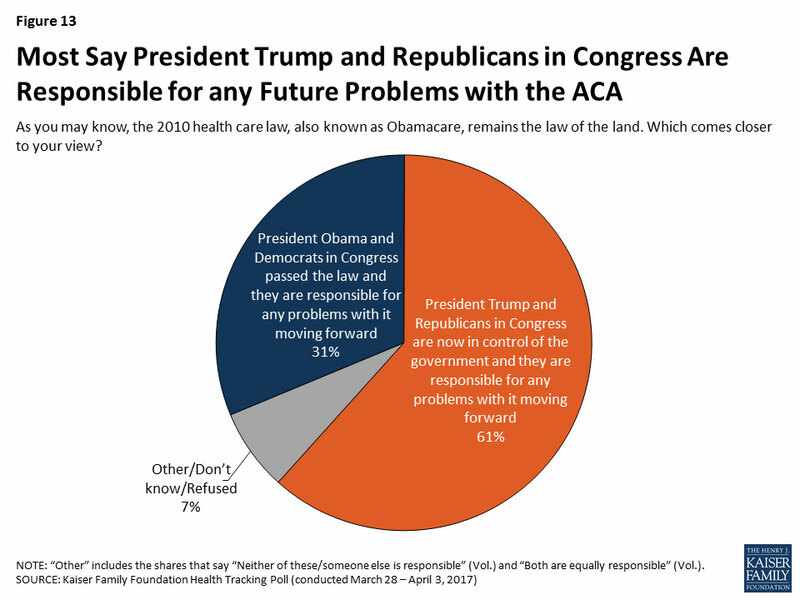 Yes, that's right: MORE of the public would now blame the GOP for the ACA "exploding", "imploding", "failing", "melting down" etc. than just 4 weeks earlier: From 61 - 31 to 64 - 28. That's a 6 point shift in a month. They were warned. They were given an explanation. Nevertheless, they're persisting.